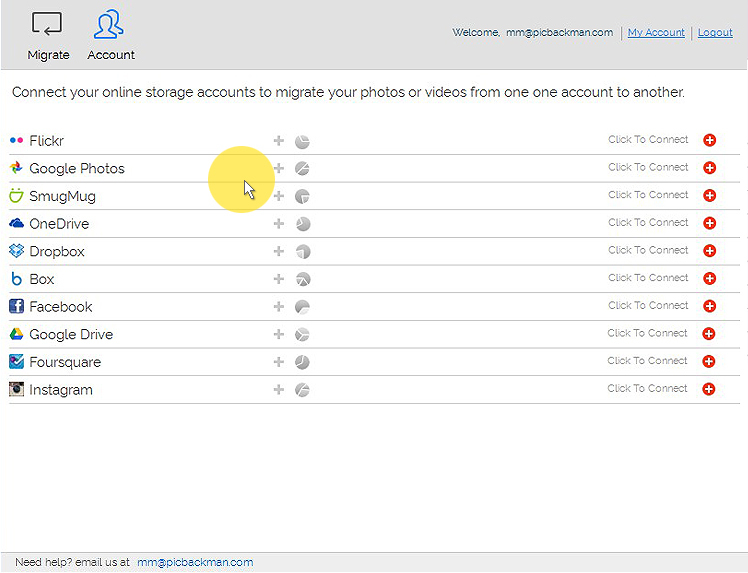 Take a quick look at MigrateMan with a screenshot-driven journey of how to get started with photo & video migration. It’s dead easy! 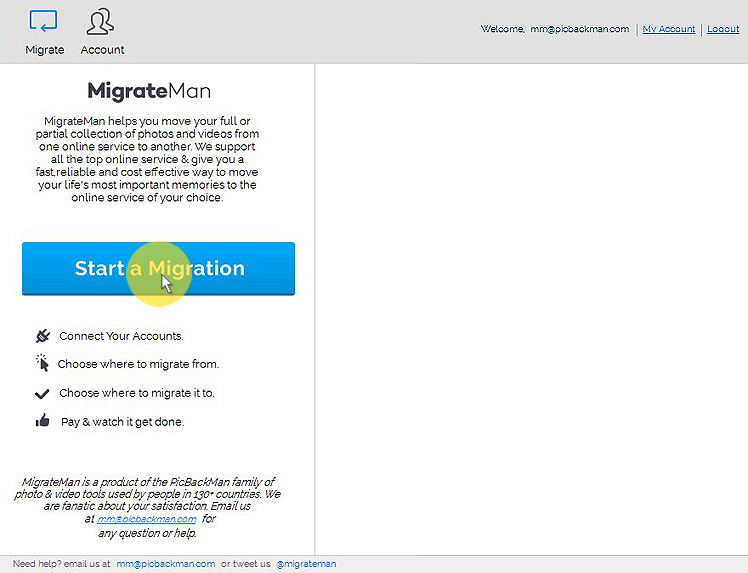 MigrateMan is truly effortless and you can get started in 3 minutes with your migrations. 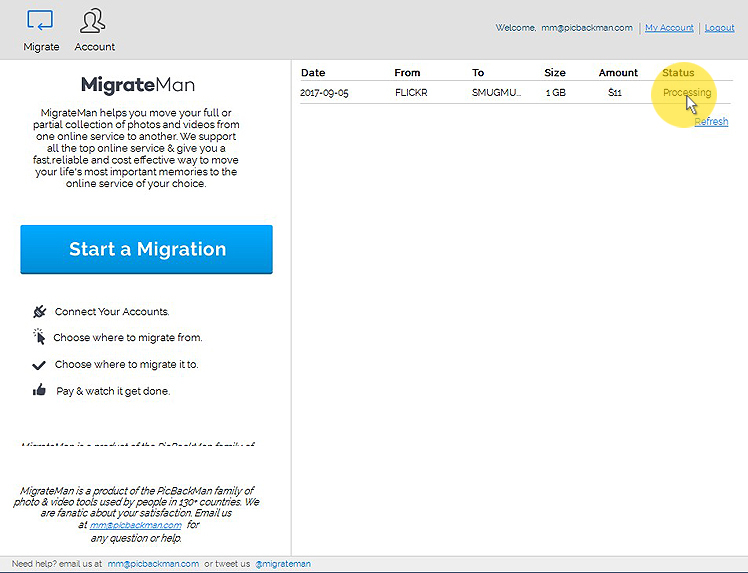 MigrateMan supports migrations to and from all major services. Connect your accounts securely to get started. 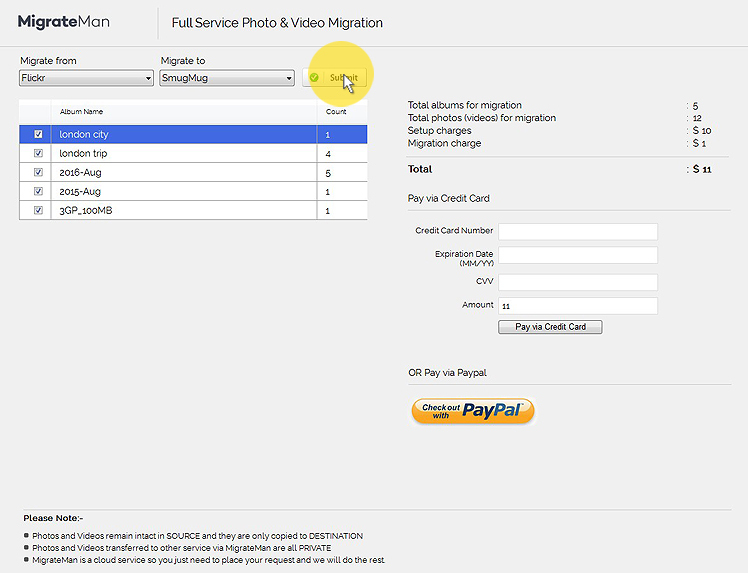 Click on Start a Migartion Button to request a New Migation. Choose your source and destination accounts and click on sumbit button to complete a request. 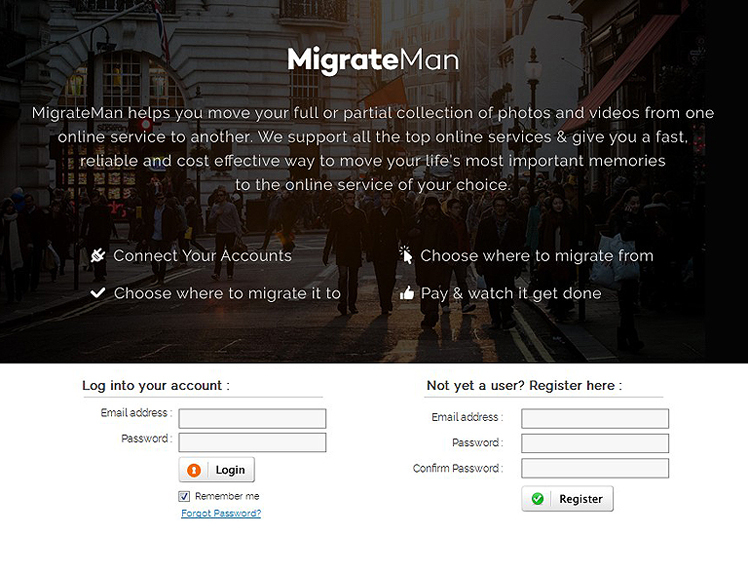 MigrateMan keep you posted on the status and progress of your migration and our support team can address any questions.